On May 23rd I had the pleasure of working with Vanessa and BJ, what a wonderful couple! 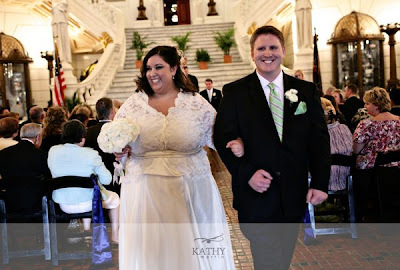 They chose to get married at the beautiful Capitol Rotunda in Harrisburg with a reception to follow at the Hilton Hotel. The ceremony was beautiful and had a special ring warming ceremony. 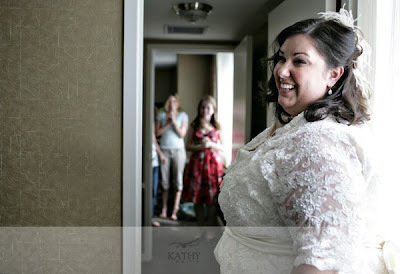 Vanessa had beautiful details, she made all of the programs invitations, and all of the paper products for that matter. She really put her personal stamp on this event and it most definitely showed through. Here are some snapshots from the event. 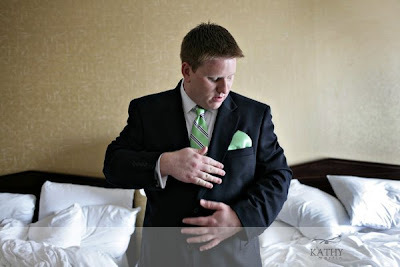 I look forward to providing professional images from Kathy Martin when I have some available from her! She was an absolute pleasure to work with as well as the Hilton. The programs on the steps outside the rotunda. Beautiful stationary designed by the bride herself! Pretty navy sashes on the end aisle chairs. Their wedding date was in block numbers on the place card table. They had a very popular candy bar!! Congratulations to Vanessa and BJ. We wish you only the best! Click here to see their BLOG SHOW by Kathy Martin !